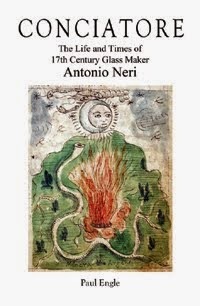 Neri used tartar in his glass to add sparkle, a trick known to Venetian glassmakers as early as the 1400s. It was obtained from the dregs at the bottom of wine barrels. 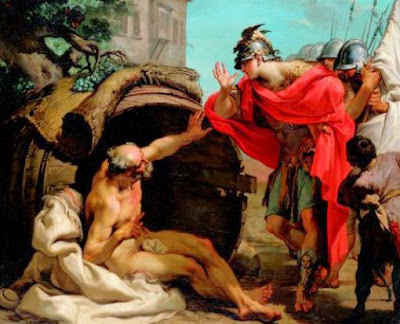 To understand how this works, it is useful to know that Florentines, Venetians and most southern Europeans made glass from crushed up quartz pebbles or sand mixed with a specific flux known as "glass salt." This salt was rich in sodium carbonates, which greatly reduced the melting point of the quartz. It allowed artisans to work the material at the temperatures easily achieved in their furnaces. Tartar turns out to be very similar, except that it is rich in potassium rather than sodium. Potassium atoms are larger and heavier than sodium atoms and when light passes through a piece of potassium-fluxed glass, it bends and refracts more. This effect is not as pronounced as when adding the even heavier lead to form fine crystal, but it still adds noticeable sparkle to finished pieces. Using all tartar as a flux has the undesirable effect of reducing the workability of the hot glass. Outside the furnace, it becomes stiff quicker and artists have less time to create fancy shapes and forms. The solution to this dilemma is to use a mix of sodium and potassium fluxes together, which is exactly what Neri did. *This post first appeared here on 16 May 2014.